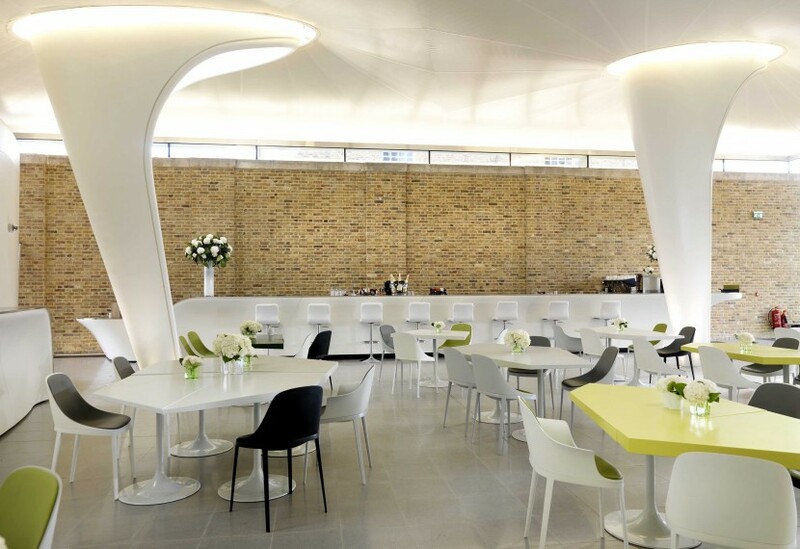 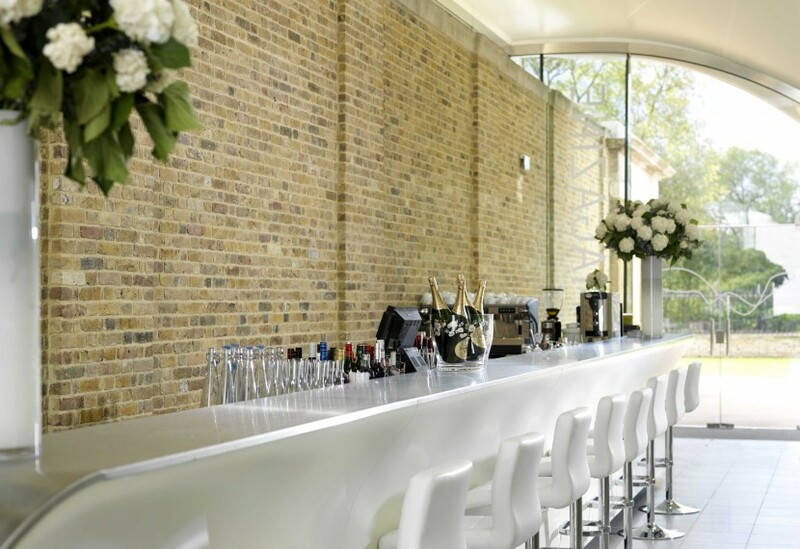 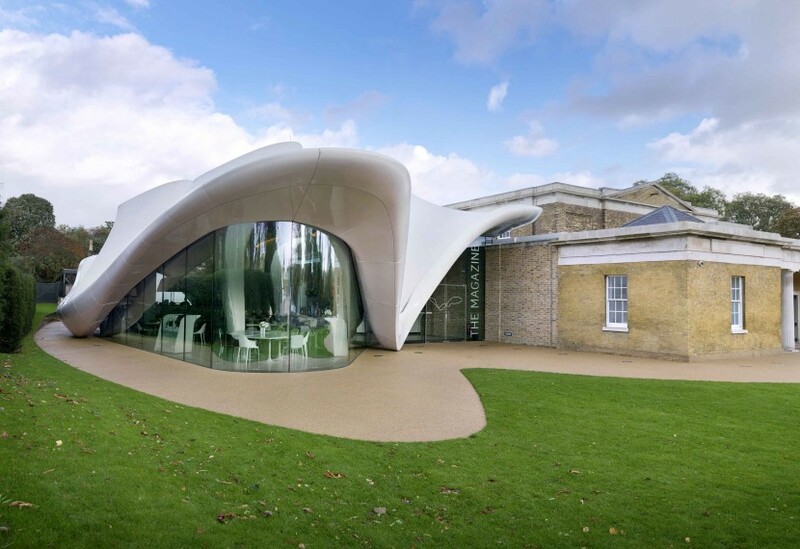 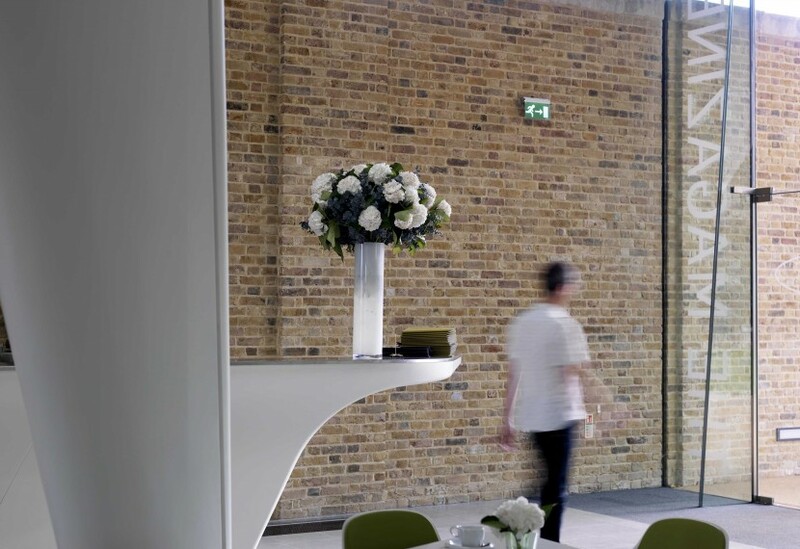 Located in the ZHA designed extension of London’s Sackler Gallery, the Magazine Restaurant’s show kitchen and bar, also designed by ZHA, saw us create an FRP wrap for the ground floor island unit kitchen and the long bar, cantilevered at one end and running the full length of the original 1820’s magazine brick wall. 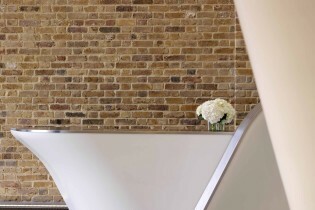 All horizontal surfaces were clad in stainless steel, along with the rear internal wall of the kitchen. 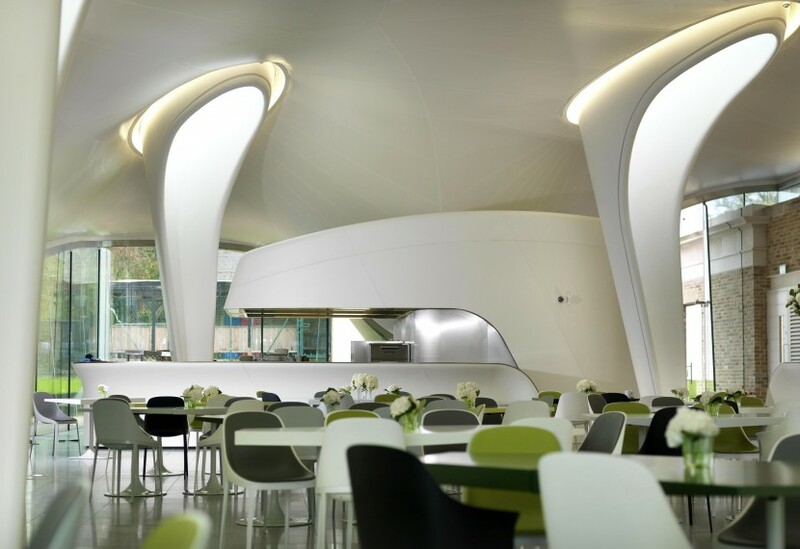 We used the model provided by ZHA to undertake all the necessary production processes in house, employing a range of skills and facilities from our high-tech 5 axis CNC machine to traditional hand finishing. 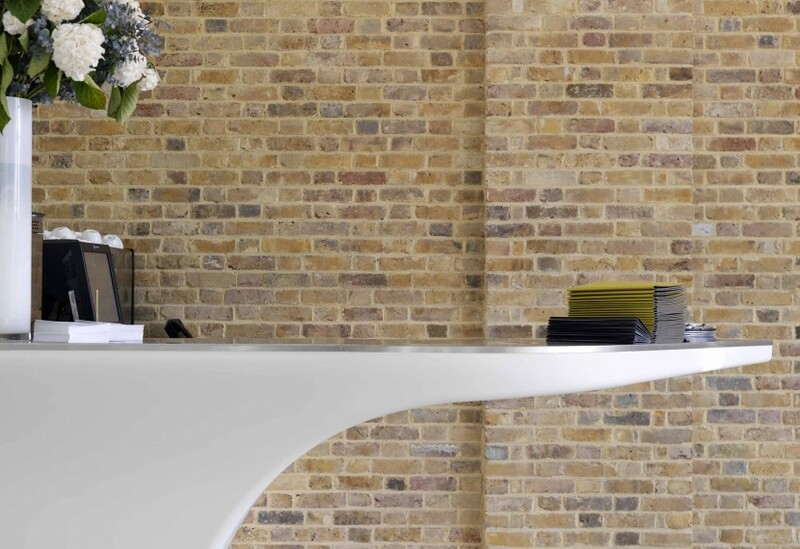 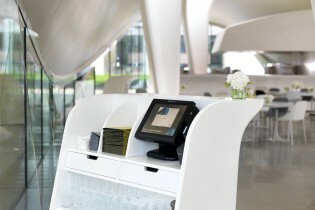 We also manufactured three waiter stations, a main reception desk and the 57 modular tables.